KUIN STUDIO is one of the invited labels for the Workshop by McNally & co. event at lasalle college of the arts (singapore) in January 2015, alongside other labels including artists oak & bindi, squech zines and fashion brands Amos Ananda, Kae Hana, as well as renowned fashion show director Daniel Boey. 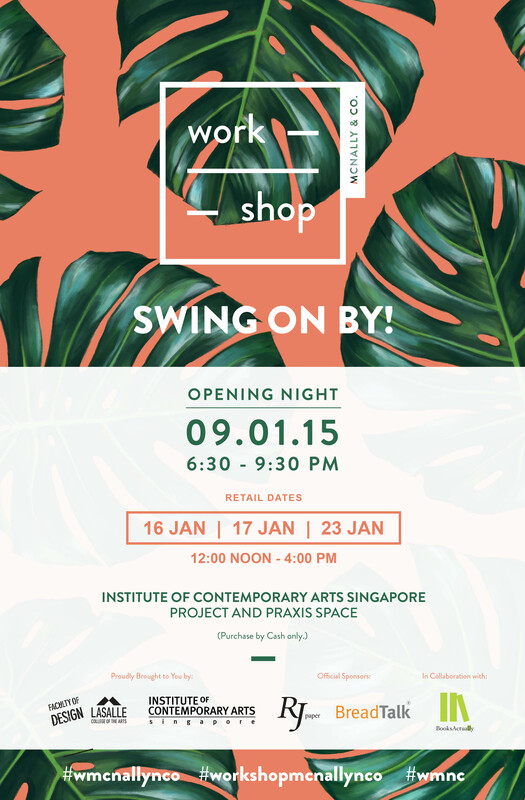 Swing on by on the opening night (9 January 2015, 7pm onwards) and check out our newest range of potted succulents and vases in unique irregular shapes. other retail dates include 16 and 17 january 2015, from 12 – 4pm. For customisations, drop us a message. The entrance to LASALLE’s basement carpark is located along McNally Street.